Nigeria’s economy was declared as the biggest in Africa in 2014. However, the vulnerability of the economy nay the country has been exposed by the perennial energy crisis the country has had to contend with. By energy crisis, I mean the challenges being faced by the citizenry in getting affordable and steady supply of petroleum products and electricity. Barely two weeks of a strike action by oil marketers and unions, the country’s economy suddenly became comatose. As of Monday, May 25, 2015, petroleum products had become so scarce and prices astronomic to the extent that many public and private businesses either ran skeletal operations or shut down completely. Banks began to close by 1pm instead of 4pm. Some electronic media outfits drastically reduced their broadcast time from 24 hours to barely eight hours per day. Telecommunications companies informed customers of their intention to embark on degraded services while many flights were cancelled by airline operators. Even the security sector was not left out as there were reports that the Nigerian Police had to drastically reduce its motorised patrols. Even many schools from primary to tertiary could not function optimally as exemplified by the University of Ibadan having to proceed on a two-week semester break due to the shortage of light and water on the campus. Thankfully, the Senate was on Monday, May 25 able to secure some temporary relief for the country at a multi-stakeholder meeting with striking players in the oil and gas sector and the government. The unions promised to resume fuel lifting within six hours. The question is: How long will this truce last? To the best of my knowledge, the contentious issue of the disputed subsidy claim has been largely unresolved but the striking workers may just have agreed to go back to work in order to allow for a smooth transition of power at the federal and state levels scheduled to take place on May 29. I have proffered a number of solutions to the challenges in the petroleum sector in my article on this column last week entitled, “Resolving the petrol scarcity conundrum”. In that piece, I supported the full deregulation of the downstream sector of the petroleum industry; called for the turnaround maintenance of our four ailing refineries or their outright sales; and the prosecution of those involved in fuel subsidy scams. In addition to these, I am calling for the passage of the Petroleum Industry Bill and its assent by the outgoing President. I am equally demanding the end to oil theft. An estimated 60,000 to 100,000 barrels of crude oil per day is estimated to being lost daily to those involved in oil theft. I am not unaware of the setting up of joint military task force comprising the Navy, the Army as well as members of the Nigerian Security and Civil Defence Corps on one the hand and the multimillion naira oil pipeline protection contracts given to some arrowheads of the Niger Delta militancy. However, if truth must be told, these measures have been largely unsuccessful as the oil theft has continued on an industrial scale. The incoming administration of Muhammadu Buhari will need to demonstrate the political will to rid the country of these economic saboteurs. The counterpart challenge of the energy crisis is that of epileptic electricity supply. It is very disheartening that 55 years after independence, Nigeria is still groping in darkness both literally and metaphorically. Imagine, with all the much touted power sector reforms which led to the establishment of the Nigerian Electricity Regulatory Commission whose mission is to “promote and ensure an investor-friendly industry and efficient market structure to meet the needs of Nigeria for safe, adequate, reliable and affordable electricity”. The balkanisation of the omnibus Power Holding Company of Nigeria into generation companies, transmission company of Nigeria and Distribution companies as well as the establishment of the Nigerian National Integrated Power Projects which comprise of 11 independent power plants and four Federal Government Power Stations located in Alaoji, Omotosho, Olorunsogo and Geregu and the billions of dollars spent on subsidy and bailouts in the sector, the country has little or no success story to share. The sing song has been that there is no gas to power the electricity turbines. There were frequent allegations that gas pipelines were being routinely vandalised. Even there have been several reported cases of theft of electricity cables by some scoundrels. Not only that, some DISCOs also allege energy theft by electricity consumers who engage in illegal connections and non-payment of electricity tariffs. 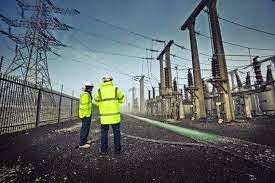 There was also the challenge of frequent system collapse such as was reported last Sunday at the Shiroro Hydro-electric Power Plant in Niger State. Before the system collapse at Shiroro, just 48 hours earlier, precisely on Friday, May 23, the Permanent Secretary, Federal Ministry of Power, Ambassador Godknows Igali, had said power generation nationwide had dropped from about 4,800MW to 1,327MW, leading to the massive load shedding across the country. As a result of the ugly development, the power allocation to the Abuja Electricity Distribution Company was reduced from about 450MW to 15MW. Surprisingly, even with the worsening electricity supply, the DISCOs are still in the habit of sending estimate bill otherwise known as crazy bills to customers because the company marketers want to meet their financial targets. Ordinarily, every house is supposed to be metered but only a few percentage of the electricity consumers have been issued with pre-paid meters. The real issues are: Shall we continue with the lamentations about sabotage, incompetence, inadequate funding, theft and so on? Is electricity generation, transmission and distribution a rocket science and esoteric? How come we have not been able to diversify our electricity generation beyond hydro and thermal? What about the solar, wind, and coal as alternative sources? For me, we cannot continually run Nigeria’s economy on contraption called electricity generators and think we will solve the problem of unemployment and poverty. The cost of doing business in Nigeria will only significantly reduce when individuals and private owned companies ceases to generate light and water for their businesses. Let’s think of how many lives have been lost to carbon monoxide emissions from power generators; let’s spare a thought for the environmental degradation caused by the toxic emissions from the generations; the air and noise pollution and the ozone layer depletion leading to climate change all traceable to the pollutants from the electricity generators. I really do not envy the incoming administration of Muhammadu Buhari. Uneasy, they say, lies the head that wears the crown. If only the APC government can help solve the country’s energy problems, then it would have given the country something to cheer and indeed live up to its change mantra.